Mong Chow is a relatively new entrant on the Karachi food scene serving 'South East Asian Bowl Food', however, currently their menu features primarily Burmese cuisine. 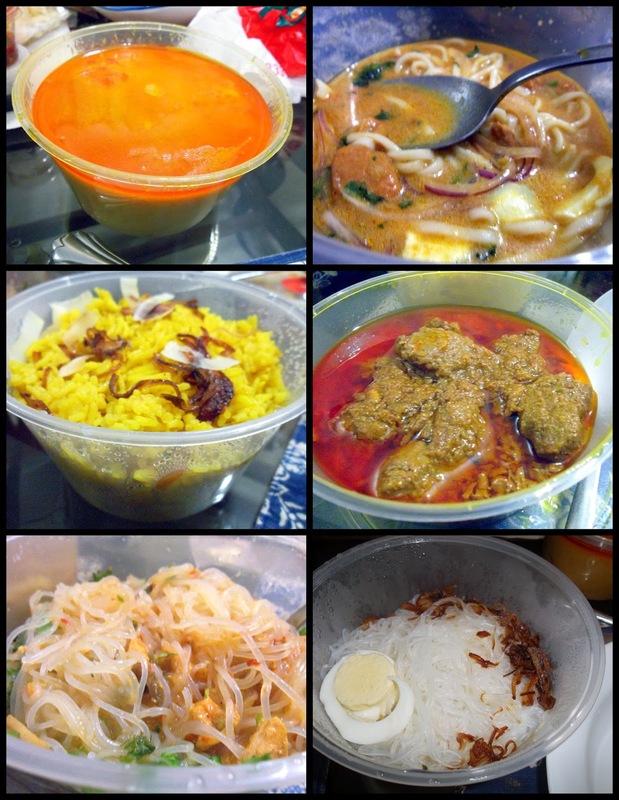 For Karachiites, Burmese food equals Khow Suey/Khausey/Khauk Seuy (however, it is pronounced), however, theres are a lot of other dishes & flavors that represent Burma. The menu is small, and currently offers 12 items comprising of appetizers, main courses & desserts. However, since they are specializing in flavors that are not run of the mill, I do like the idea that they are focusing on making sure that those few items are done well instead of having a hotch potch of items. At the same time, I do wish they would add other South East Asian flavors on the menu - would love to have a good Pad Thai or Vietnamese Pho *sigh*. We were three people and we all ordered different things in order to try out the menu. Timely delivery by Urbanite, with excellent packaging by Mong Chow - there were multiple boxes for every dish all labelled and they were plastic wrapped to ensure no spillage. My favourite thing out of what was ordered had to be the 'Mandalay Chazan'. Comprising of thin Vermicelli style noodles with a chicken & mushroom curry, served with boiled eggs, chilli flakes, fried onions, coriander & lemon. I loved the thin noodles along with mushrooms in the coconut curry, which provided such a refreshing change from the typical Khaw Suey that is served. The 'Ohn No Khauk Suey' was similar to the style of Khow suey that is made/available in Karachi. Comprising of egg noodles (which I have always preferred over wheat) in a chicken and coconut curry served with coriander, spring onions, boiled eggs, crisps, chilli flakes & lemon. Flavors were good, but I preferred the Mandalay Chazan better. The third item we ordered was the Beef Rendang served with Yellow Rice & Pickles. 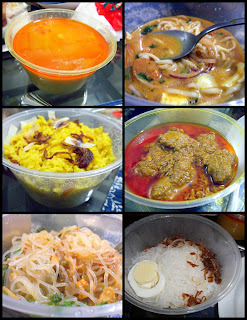 Its an Indonesian dish, and it was the inspiration behind my version of Chicken Rendang. I remember reading Mong Chow's menu when it opened and loving the description of the dish, but since I rarely eat beef, I had to improvise. Since I rarely eat beef, specially not this beef cut, my opinion on the taste would be biased but loved the fragrant yellow rice served with it. My little brother on the other hand liked it and found it similar to a 'Bhuna wa Salaan' with Oriental flavors. It's not something I would order again for myself, unless they come with a Chicken version or if they start selling the rice separately. Overall, Mong Chow is a refreshing change to the Karachi food scene and would be loved by people who love South Asian flavors and/or are willing to try new things. They have a take-away outlet in Farids at Ocean Mall & they also deliver via Urbanite. In terms of pricing, most of the main dishes are priced at PKR 400 - 450 and the portion size is easily enough for one person. Not serving run of the mill food is what sets Mong Chow apart, at the same time the food they offer is an acquired taste and hence may not to be everyone's liking. Thus when trying it out for the first time, order something simple like the Khaw Suey, and then go with adventurous by trying out new things. One last advice for any broth like dish - its all about adding the different condiments and mixing it all up and then its loads of flavors in every bite. Same is the case with Mong Chow - Don't and I repeat this again DON'T take out servings of the noodles & the curry separately and try to mix it up in your plate. Just mix the noodles & the curry & half the condiments ten adjust to taste. I am sharing this in appreciation to the writer Kiran of Kays House of Treats for the review of MONG CHOW.